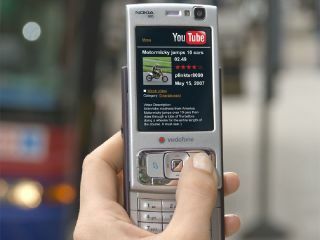 In five years' time, consumers will create a quarter of mobile entertainment content, Nokia has predicted. So-called 'circular entertainment' will be the next trend within mobile content, and we mobile users will get more collaborative in the future, a global study by Nokia has shown. By 2012, up to 25 per cent of entertainment consumed by people will have been created, edited and shared within their peer circle rather than coming out of traditional media groups, the study predicted. The Nokia study - ' A Glimpse of the Next Episode' - asked some 9,000 'trend-setting' consumers aged 16 to 35 from 17 countries about their digital behaviour and lifestyles in order to sniff out emerging entertainment trends. "From our research we predict that up to a quarter of the entertainment being consumed in five years will be what we call 'Circular'. The trends we are seeing show us that people will have a genuine desire not only to create and share their own content, but also to remix it, mash it up and pass it on within their peer groups - a form of collaborative social media," said Mark Selby, vice president, multimedia at Nokia. "We think it will work something like this; someone shares video footage they shot on their mobile device from a night out with a friend, that friend takes that footage and adds an MP3 file - the soundtrack of the evening - then passes it to another friend. That friend edits the footage by adding some photographs and passes it on to another friend and so on. The content keeps circulating between friends, who may or may not be geographically close, and becomes part of the group's entertainment," Selby predicted. Immersive Living: the rise of lifestyles which blur the reality of being on and offline. Entertainment will no longer be segmented; people can access and create it wherever they are. Geek Culture: marks a shift as consumers become hungry for more sophisticated entertainment. As Geek Culture rises, consumers will want to be recognized and rewarded - the boundaries between being commercial and creative will blur. G Tech: an existing social force in Asia that will change the way entertainment will look. Forget pink and sparkly, it is about the feminisation of technology that is currently underway. Entertainment will be more collaborative, democratic, emotional and customised - all of which are 'female' traits. Localism: a locally-minded sprit emerging in entertainment consumption. Localism will become a key theme of future entertainment, and consumers will take pride in seeking out the local and home-grown. These trends will move into the mainstream, Nokia said, leading to the 'circular entertainment' phenomenon.